In the desert far away, there lived a group of roadrunners. Each of the roadrunners lived in a cactus that he had neatly decorated for himself. 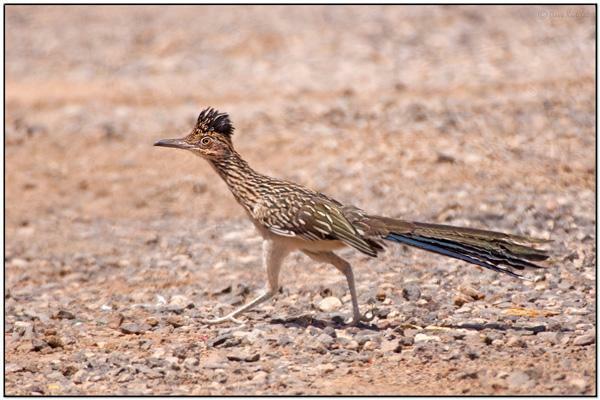 One of the roadrunners was named Harold, and he was the smallest roadrunner of all. Every year, all of the roadrunners would gather together and plan when they would have their special race. This was usually in the third month of the year. This race was incredibly important to all the roadrunners because it was the longest race they ran each year. Harold usually wasn’t allowed to be in the race because he was so small. This year, however, he decided he was going to prove himself. 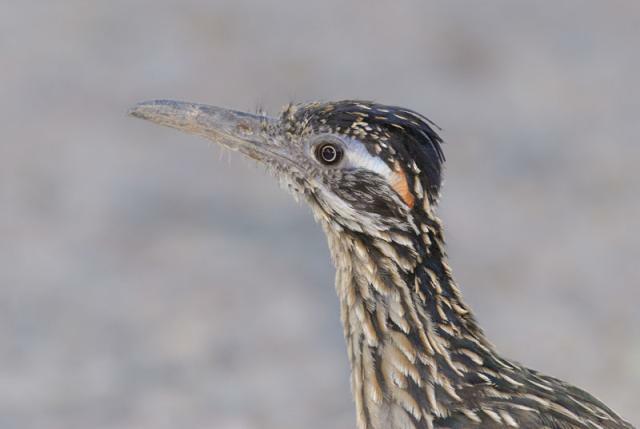 When all of the older roadrunners decided on a date for the race, they were sure to tell all of the other roadrunners in their region of the desert. It was a couple of weeks before the race, so Harold decided to start training himself. Harold ran as fast and as far as he could for two weeks. Every day he would go a little farther and a little faster. Finally, Harold was sure he was ready for the race, but he still didn’t know if he would win because he had seen the other roadrunners run, and they all had longer legs. On the day of the race, all of the roadrunners gathered around to watch the race. Most of the roadrunners disapproved of Harold being in the race because of his size and how small he was, but Harold still took his place at the starting line. Each of the roadrunners were given a number to wear during the race. One of the roadrunners stood to the side and blew a whistle. Harold started running as fast as he could. He was actually surprised to see that he was passing other roadrunners. One of the fastest roadrunners was still ahead of him. They were both reaching the halfway point of the race. All of the roadrunners on the sidelines were cheering them on. Harold was steadily gaining on the other roadrunner. He was getting tired, but he wasn’t about to give up. The finish line was approaching. In a few minutes Harold and the opposing roadrunner would cross the finish line. Harold ran as fast as he could. He pushed himself harder as they neared the finish line. The other roadrunner began to pass behind him. The finish line was getting closer. Everyone was cheering. Harold crossed the finish line and all of the roadrunners gathered around to congratulate him. From that year on, Harold entered the race every year, and he became one of the fastest roadrunners in the desert as he grew up. Emma, that is another fantastic story. I was cheering for Harold all the way. Sorry, but I couldn’t help but put that cartoon roadrunner in. That is one of the benefits of being the editor. 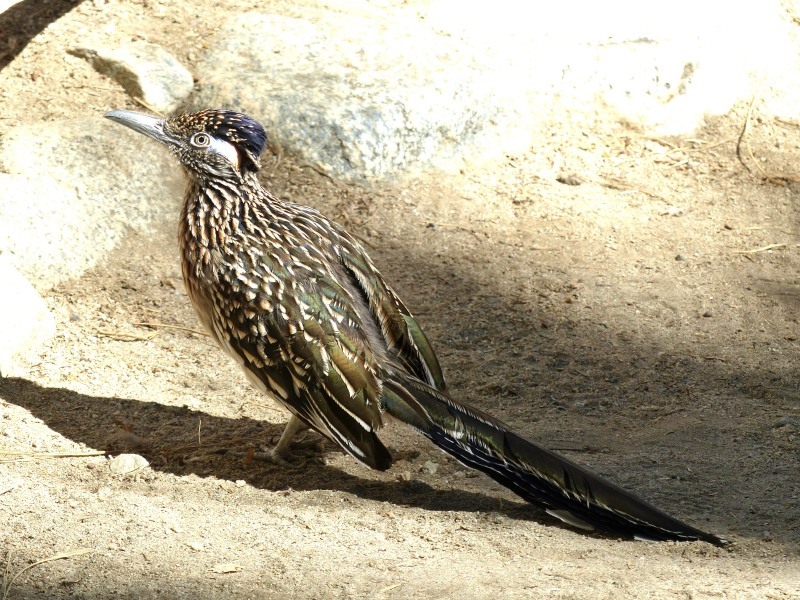 This entry was posted in Birds, Birdwatching, Guest Writer, Kid's Section and tagged Christian, Competition, Emma Foster, Home School, Nature, Race, Roadrunner. Bookmark the permalink. Emma, I just love Harold’s spirit and determination. We can all learn a lesson from him . Your stories are such a breathe of fresh air – keep them coming. And a big thanks for all you do. Sherry, you are so right — MEEP! MEEP! Emma, please keep ’em coming! Of course, Harold is now exhausted , but he won the day! MEEP! MEEP!